I think bulletin boards are great items to have. Whether you use one in your office or in another room in your home, they shouldn’t dumb down the decor. Sure, you can easily buy one at the store but usually they are simple and made out of cork. If you wanted one that has a little more style you probably have to pay over $25 for it. I have seen some for $50 and up. 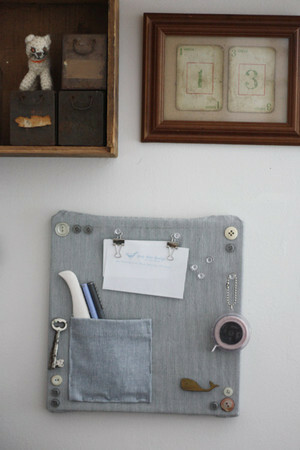 I thought of a cool way to make your own bulletin board and customize it so it looks great in any room. Plus, you will love it because you made it. Once you have your canvas, you have to decide on what fabric you want to use. You could even use an old shirt or sheet. I used an old pair of pants that are too big. If the pattern is cool, go for it. Make sure you give about two inches more of the size you need. Now, take the fabric and lay it down and put the canvas on top of it. 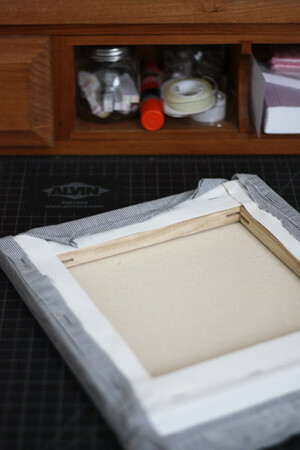 Take the fabric and wrap it around the canvas and staple it to the wood frame. Make sure its tight! For smooth corners just fold them as if you were wrapping a gift. Now you need to figure out what this will be used for. If it’s simply for hanging things up than you are just about done. Just add a little extra love with some trim and decoration. 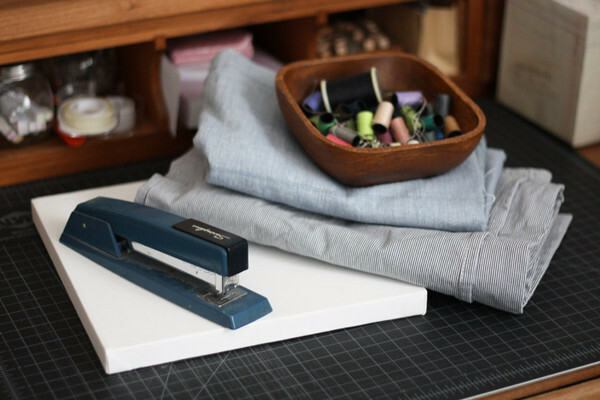 You can use ribbons, yarn, fabric, felt, buttons… the possibilities are endless. 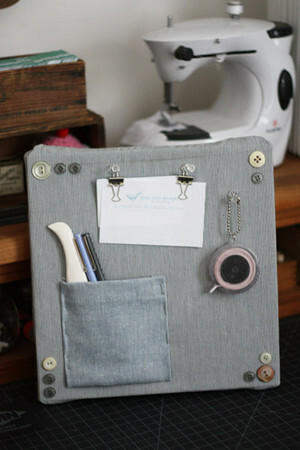 If you want it to be more organized, you can add some compartments. I created a small pocket for some pens and small items with other fabric and just stapled it on. I don’t mind that they show but if you do than use thread or safety pins. I like that this project looks hand crafted. You can also make a space for a small pad you like to keep on hand by cutting a slit and slipping the bottom of the pad through. Have fun with it and customize as much as you need to. I hope you liked this project as much as I do. I think it’s such an easy way to take something that is functional and make it stylish and unique. 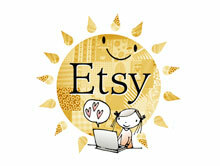 It would make a great space to show off your button collection or even hang jewelry. Another great thing you can make is a headboard. Just use a large canvas, cover with fabric and you’re done. That would make a great addition to any room. Now get down and DIY! I LOVE this! Thanks for sharing your idea!